Captain America: The First Avenger kicks off OPC's Avengers Month with a great transfer and good supplements. Click on the jump to learn more. Marvel is hitting most of its marks these days. Interest is peaking in the upcoming Avengers release, and its cavalcade of movies leading up to this event have been mostly successful. I think back to the summer of 2011, when both movie adaptations of Thor and Captain America were released, and remember the overriding question on everyone's mind: Could Cap gain a following in a world driven by gun violence, transforming robots, political thrillers, and a media machine that glorifies women? 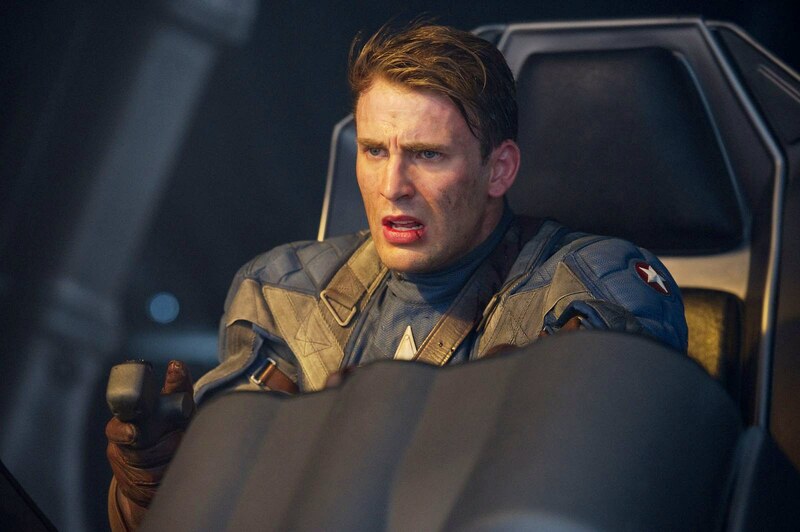 Much like Superman, Captain America was born into a very different world, and I worried that audiences might not find a good old-fashioned boy-to-hero action film to be that appealing. The numbers prove otherwise: the movie made over $175 million on a $140 million budget, was a top film of 2011, and received excellent critical and fan reviews. 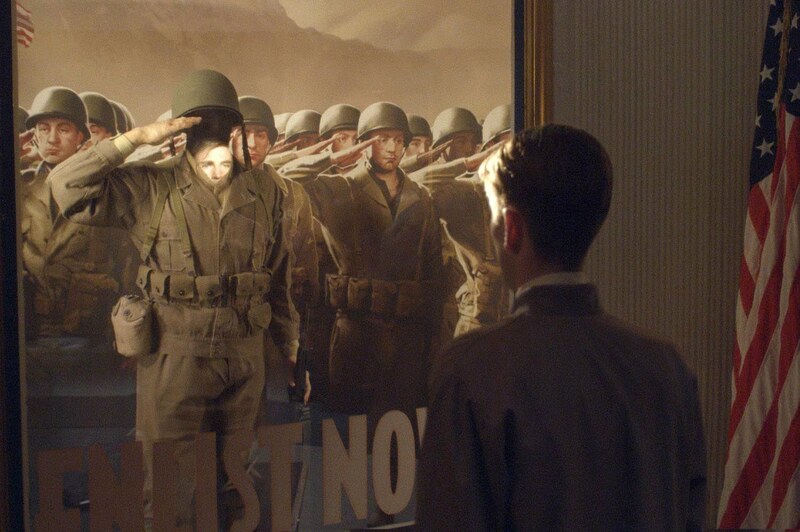 As we celebrate the impending release of Avengers, we look back at an instant classic: Captain America: The First Avenger. Steve Rogers (Chris Evans, Fantastic Four) is a scrawny kid from Brooklyn who wants to join the Allies in defeating Hitler; yet his physical stature (or lack thereof) and a laundry list of health problems have kept him out of the game. His friend, Bucky Barnes (Sebastian Stan, Black Swan) will be shipped out soon, which means Steve will soon be the most eligible bachelor in Brooklyn, or so Bucky thinks. 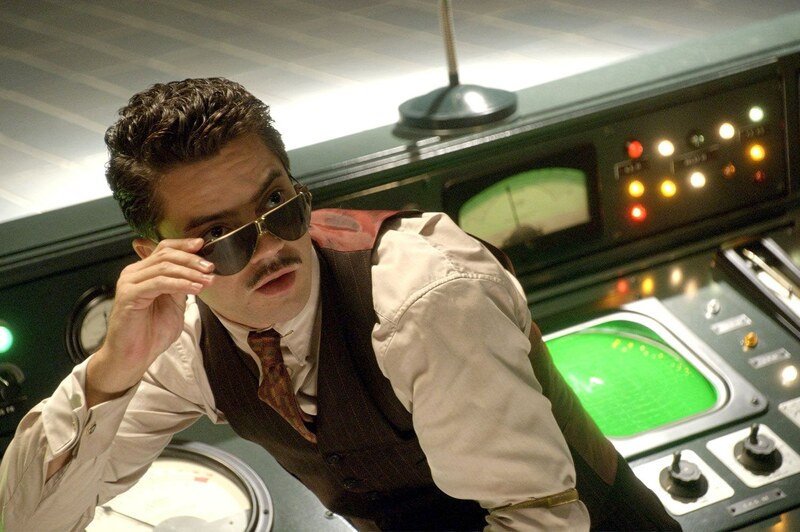 It's not until Rogers meets Dr. Abraham Erksine (Stanley Tucci, Joe Gould's Secret), who is conducting secret government experiments to make the ultimate super soldier, that Rogers' fortunes begin to turn. Transformed into the muscular, nearly bullet-proof Captain America, Rogers has the physique of a champion weightlifter but the morals of a kid who knows what it's like to be bullied in every alley in Brooklyn. 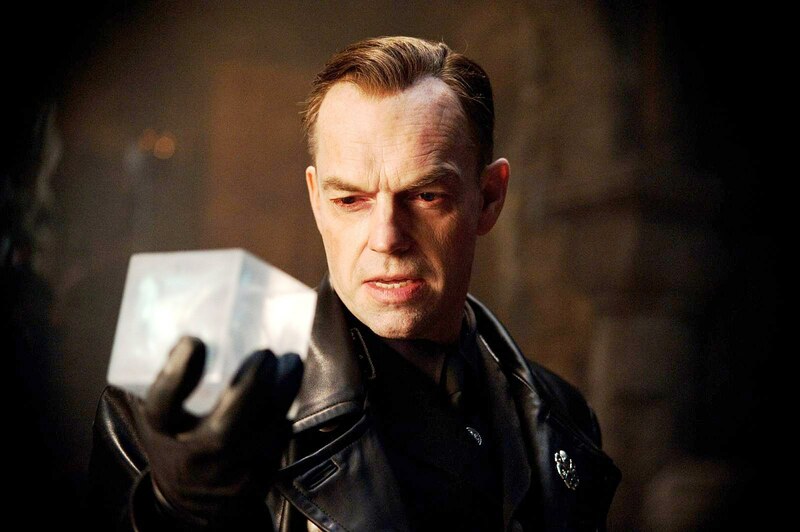 But muscles won't win the day, especially against Hitler's most dangerous henchman, the great Red Skull (Hugo Weaving, The Matrix). He's the antithesis of Cap, having spent years trying to unlock the secrets of the occult as a way to defeat his enemies. He is obsessed with worldwide dominance, over the Allies, and even over Hitler himself. 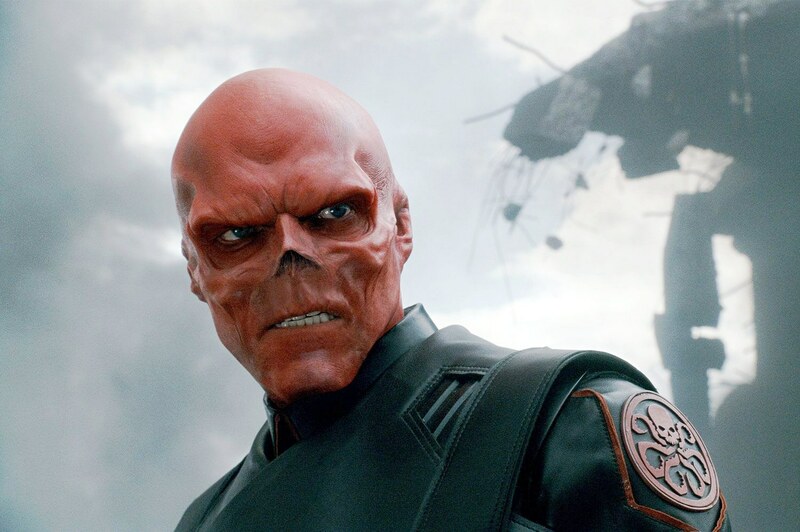 The leader of Hydra, once a division of Hitler's science division now a military might to reckoned with, Red Skull's attempt to use the super solider serum has left his face forever altered and any shred of morals gone as well. With the Howling Commandos, Bucky, and the beautiful Peggy Carter (Haley Atwell, Cassandra's Dream), Captain America marches towards a showdown with Red Skull and Hydra that will alter the outcome of World War II, and set Cap on a collision course with the future itself. My suggestion is to watch this first, as opposed to Hulk (which premiered in 2003), due to the timeline. This instantly became one of my favorite films of all time, because of its strong values to the Cap canon and committment to the story. Performances are nothing short of excellent, with Evans carrying the lead role as proudly as the white star he wears on his chest; Weaving is simply brilliant as Red Skull, and even the peformance of Tommy Lee Jones (The Fugitive) as the crusty Colonel Phillips provides just enough comedy to break up the otherwise serious tone of the film. Joe Johnston (The Rocketeer), mixed great set pieces with just enough high-flying CGI to make Cap and Red Skull believable as real combatants. His attention to detail in era clothing styles, such as Cap's uniform and believable rendition of the shield, demonstrate his commitment to satisfying both Hollywood executives and fanboys alike. Writers Christopher Markus and Stephen McFeely even make homage to Johnston's work on Raiders of the Lost Ark (Art Director) with the best line of the movie as Red Skull glances upon The Tesserat. Even the post-credits Easter Egg is tantalizing. But the real story here is Captain America, for behind the shield is a man with unalterably strong values of duty and honor, which frankly are refreshing to see again on the big screen. In an overly-negative world of ultra violence and quick edits, CA: TFA rises up to remind us that regular people can achieve great things. Captain America comes to us in a stunning 1080p MPEG-4 AVC transfer, which is unique for both its incredible sharpness, but also in how it beautiful, colorful, and subdued the landscape is presented at times. I know some people were not happy with this transfer, which mixes the darks too much for some, myself not included. Details in uniforms, trees, vehicles are nothing short of perfect, and colors acorss the spectrum do not bleed or run for cover. Reds, such as those in Peggy Carter's evening dress and Cap's shield, are simply stunning without pushing blues and blacks out of the way. There's no evidence of haloing, edge enhancement, and in this age of digital film-making, the master print is perfect. Paramount has simply hit most of its Blu-ray releases out of the park, seemingly to spend any amount necessary to deliver the highest quality product possible. Captain America does not disappoint. If the picture doesn't appeal to you, then be prepared to fall in love with the audio track, which is offered in HD-DTS 7.1 Master Audio. The effect is a lossless track that will wrap you in the roar of jet and motorcycle engines, gun shots and explosions, and the tearing of metal and shattering of glass. Even office sounds like chatter and typewriters (these were ancient word processors that didn't auto-correct) are clear and unmistakable. Dialogue is crisp and there's no need to play The Volume Control Dance to appreciate either it or the action. Paramount has the LFE down, providing a powerful low-end experience. It's simply the best audio track I heard in all of 2011, and it should be fully experienced to appreciate. One issue I had with the film (and it's minor) is the offering of Composer Alan Silverstri; his score is 1940's bold but lacks the super soldier serum to deliver a powerful companion for our film. It's not terrible by any means, but listening to the soundtrack is a bit of letdown. It's my only worry for The Avengers (that, and Mark Ruffalo). But, it could have been a lot worse. The release should sound great on most surround systems. Audio Commentary: Johnston, and others provide an educational track that helps us to better understand how they shot "Skinny Steve" and achieved other impressive effects. Marvel One-Shot: A Funny Thing Happened on the Way to Thor's Hammer (4:03): A funny short that shows how Agent Colson becomes involved in foisting a convenience store robbery. Out fitting a Hero (10:52): The evolution of Cap's costume is well discussed in this featurette. I always appreciate learning such details, and this one doesn't disappoint. 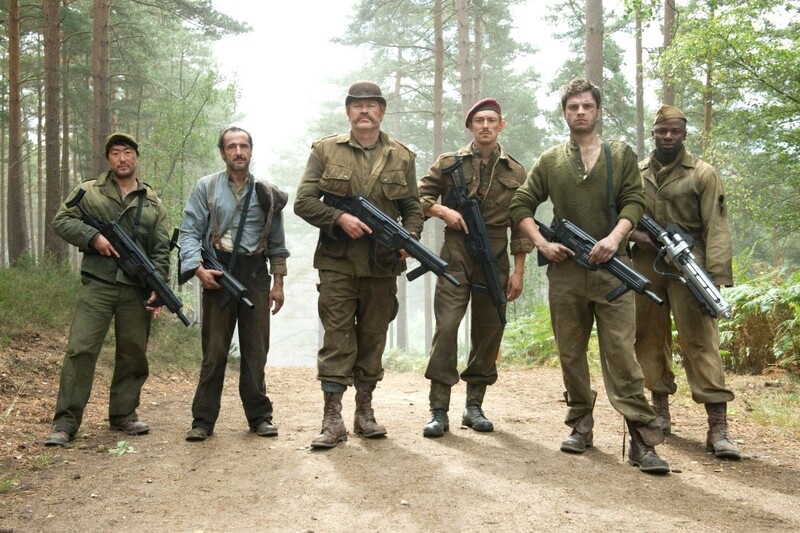 Howling Commandos (6:07): Among the many things I enjoyed about CA: TFA was the introduction of the Commandos, who ate featured in this sadly brief piece. Heightened Technology (5:43): I loved the Hydra weapons in this film, and this feature takes us through the various weapons of war that were shown throughout the film. The Transformation (8:50): The shrinking of Evans to near Hobbit-like proportions is discussed. It's an excellent piece. Behind the Skull (10:24): Another very solid piece on the history of Red Skull, to the movie adaptation. It's another winner. Captain America's Origin (3:55): Comic Co-Creator Joe Simon takes us through the evolution of the character, ending (strangely enough) at the red carpet interviews for the film. The Assembly Begins (1:46): An all-too-short look ahead at The Avengers. Deleted Scenes (5:32): It's fun to see items which missed the final cut, and these are no exception. No surprises here, but I did like the director's commentary which is available for each scene. Trailers: A collection of 2 Cap-related trailers (2:35 each), the Sega Game trailer (2:18), and The Avengers Animated Trailer (1:19) , including the theatrical and game. Riddle me this: how can an American release of an American action hero receive worse packaging than other countries? That's the conundrum behind the US packaging, which came in limited editions, each as disappointing as the other. The Best Buy Exclusive 2D (which I used to write this review) has a standard non-embossed slipcover showing Cap without his helmet and the first edition of the comic on the back. The 3D wasn't much better. In fact, none of the US releases were acceptable, as compared to the incredible steelbook version that the movie received in the UK. That case represented one of the best of 2011, displaying Cap's weathered shield embossed on the front cover. It was simply extraordinary, and a real slap in the face for American audiences who deserved better. Based on this, I cannot give this section a perfect score. I'll ignore the American releases in my grade, as at least someone somewhere got better treatment, even if it was another continent away. Ignoring that shortfall, the movie is as terrific as its thundering audio and beautiful visual transfer; the supplements are a home run, and the direction, acting, and story is filled with catchy one-liners, outstanding plot development, and a serious commitment to comic book canon. While some might not have enjoyed CA: TFA as I did, it's a resounding hit in my book and a sure-fire purchase for veteran fans and newbies alike.